In order to generate revenue for your app with our Interstitial ad unit, you will have to integrate the ad unit in your code and activate the Rewarded Video on your ironSource Dashboard. 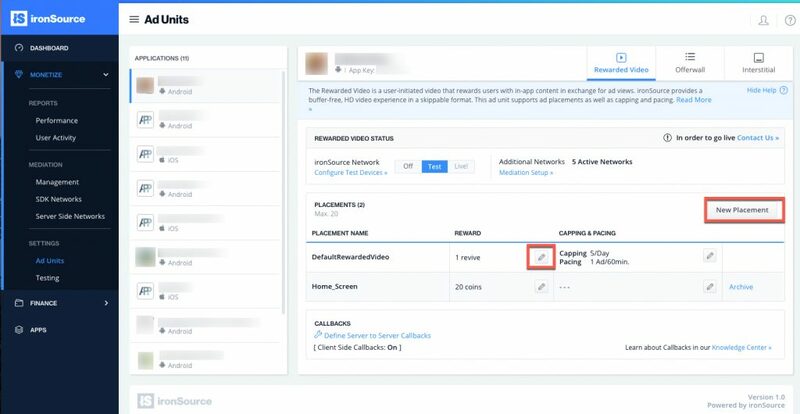 To set up the ironSource Rewarded Video, you’ll need to add your app to the platform. Follow this guide for instructions on how to set up your app. 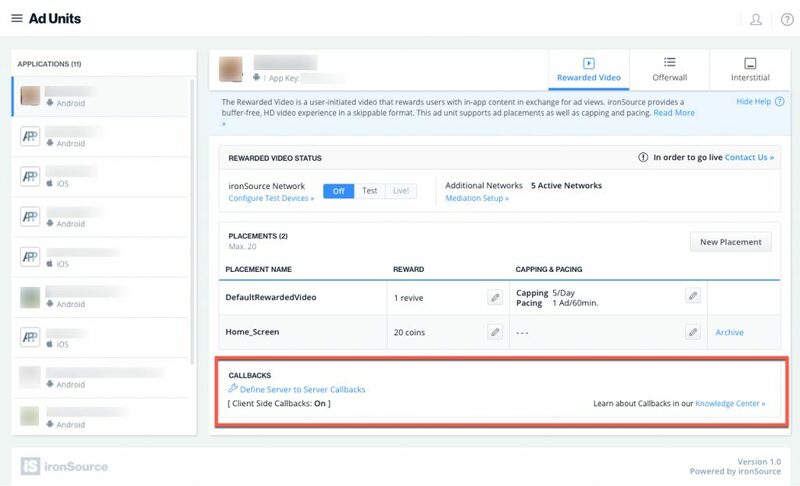 You will see a DefaultRewardedVideo placement that you can edit or you can add a placement by clicking ‘+ Add Placement‘. 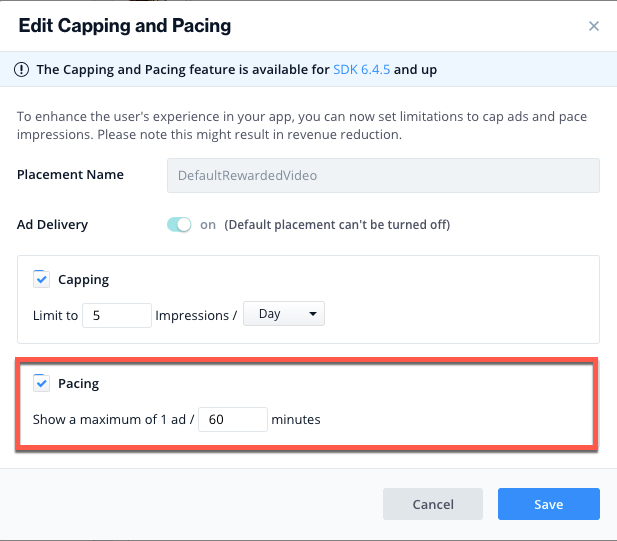 Next, configure Placement Capping and Pacing to enhance the user experience in your app. 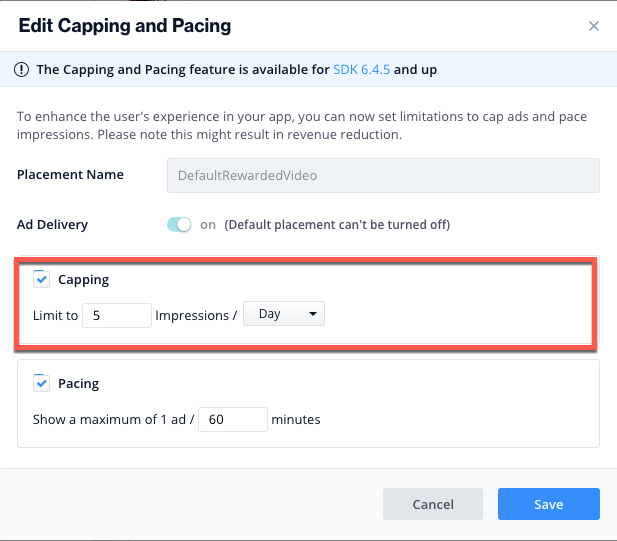 Placement Capping will limit the amount of ads your serve for the selected placement. You can set limitations by day or hour. As seen below, if you limit this placement to 4 impressions/day- you will only serve 4 ads for this placement per day. Set up Server-to-Server Callbacks. 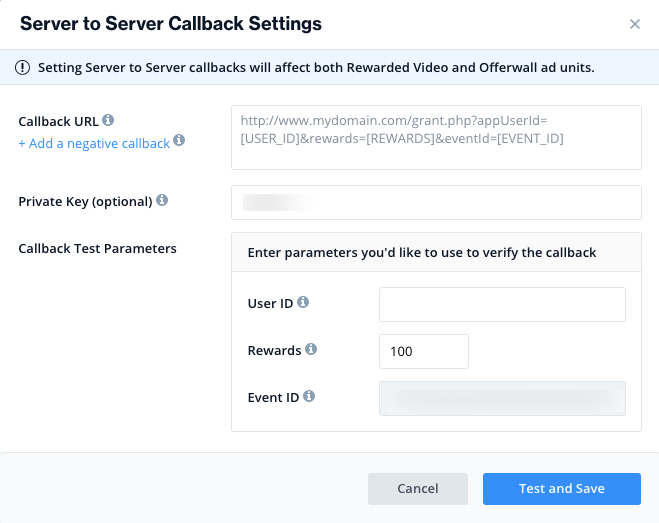 If you don’t set up any callbacks, you will not receive notifications about your users’ rewards. Note: If the state of client-side callbacks section is ON, it means our server will notify you about the reward event but if you haven’t set an endpoint to listen to this event, you won’t receive the notification. To serve Rewarded Video ads to your users, integrate the Rewarded Video Ad Unit in your code as described here. 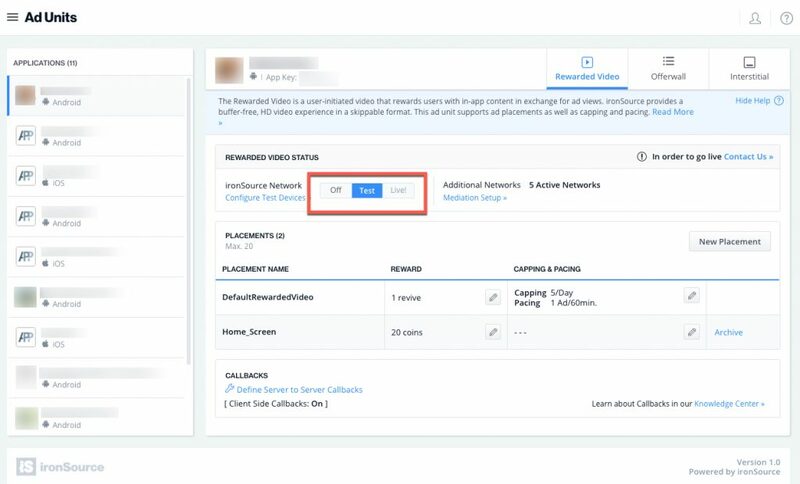 Your app can now receive live Rewarded Video ads.